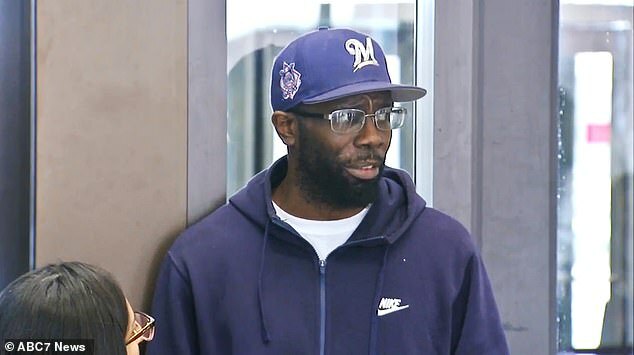 The informant recorded Watts and another officer, Kallatt Mohammed, stealing $5,000 from him. Watts, Mohammed, and other members of his unit allegedly targeted dozens of residents of the Ida B. Wells housing projects for false arrest. Watts and Mohammed were the only policemen charged. The Chicago Police Department placed 15 officers who worked on his unit on desk duty in November 2017. Watts has since moved to Las Vegas, where he lives as a free man. ‘When the system fails one of us, it fails every single one of us,’ Starr said. ‘Their stories are just the latest examples of a calculated, feigned ignorance on behalf of the Chicago Police Department of the victimization of black and brown, lower-income communities in Chicago. 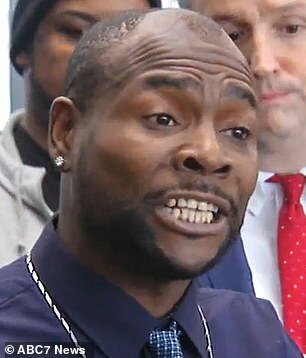 One of those exonerated on Monday is Derrick Lewis. Lewis was sent to prison twice after officers working for Watts planted drugs on him, according to WLS-TV. In total, he spent more than seven years in prison. 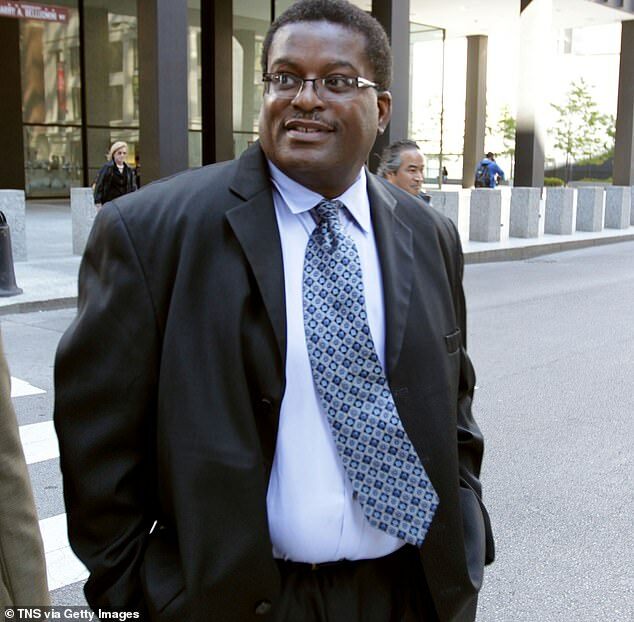 Lewis told the Sun-Times that when he was convicted and sent to prison, his then-fiance left him for another man after she doubted his character. 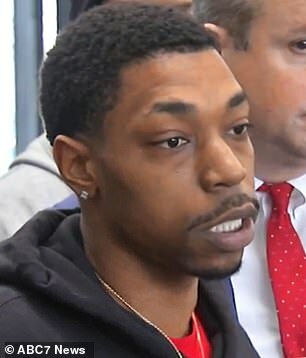 ‘We lost things that you can never get back,’ said Lewis, who maintained his innocence from the moment he was arrested. In many cases, prosecutors discovered police misconduct that made them doubt the validity of the convictions, and judges have followed their recommendations to vacate them. Since early 2016, there have been at least 63 felony drug convictions tied to Watts vacated. Fifteen were tossed in a single day in November 2017 during what was then the largest mass exoneration in memory in Chicago. That total was eclipsed last year when 18 men had their Watts-related convictions vacated on the same day. The Cook County state attorney’s office continues to investigate cases involving Watts. One defense attorney estimates that in the decade before Watts was arrested in 2012, he was involved in more than 500 convictions. ‘We’ve got 100 more cases that we have already submitted to the state’s attorney for review… that we believe they were framed,’ said Joshua Tepfer, an attorney for the University of Chicago’s Exoneration Project, which is handling many of the cases. 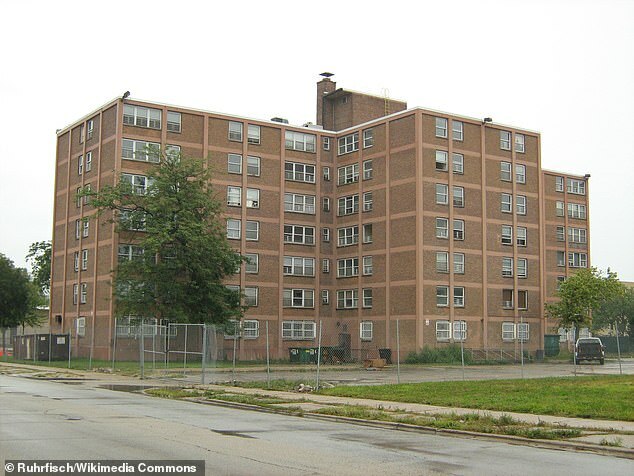 Watts and his team operated at a now-demolished public housing complex on the city’s South Side. When they refused to pay Watts or his crew, they were arrested, sometimes after Watts or members of his crew stuffed drugs in their pockets. One woman released last November said she was framed after she and her sister filed an official complaint against Watts’ crew, and a man who said his two convictions in cases involving Watts and his team came after he refused to pay Watts.